Every Sunday, Making A Mark gives a little brag spot to one of the insanely talented artistic folk, currently living up large in the world of pop culture. 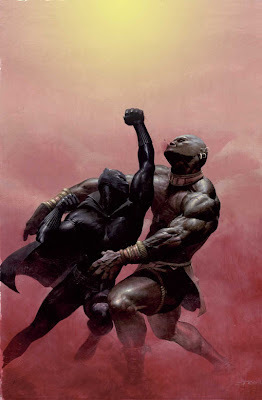 This week; Esad Ribic. It wasn't that long ago, that if Thor swung his hammer not to many fan's cared where it landed, but now the Avengers 'big gun' is finally getting the kind of worship befitting a God of Thunder. 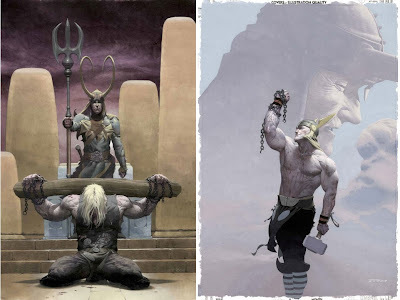 The latest offering, news that in November the Odinson will launch into a new mini-series Astonishing Thor, with covers by Croatian artist Esad Ribic (#1 cover on left). No stranger to the Marvel U, Esad Ribic's atmospheric imagery has already created a range of stunning projects for The Sub-Mariner, Wolverine, and The Silver Surfer. Able to bring a sense of realism to even the mythological Asgardians, Esad's work is bold uncluttered and strong. 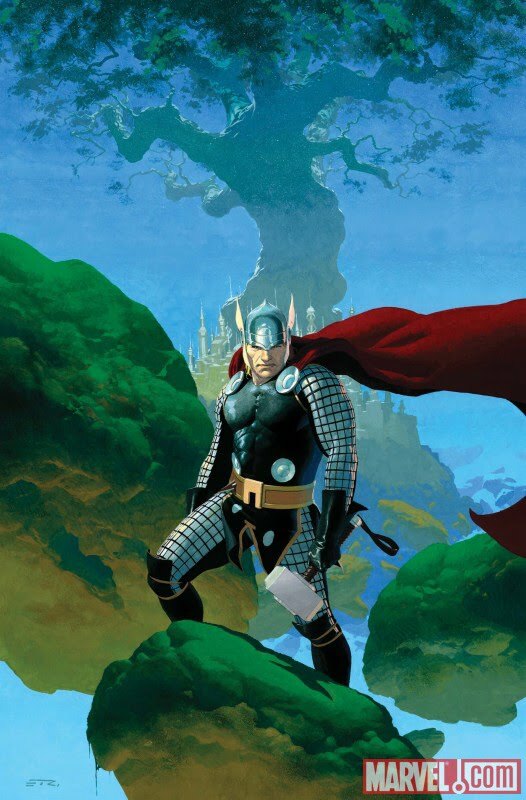 Once the number of Thor titles settles after the movie, don't be suprised to find Ribic partnered up for more action with the Mjolnir-tossing marvel long into the future! I mean when you draw like this - you would wouldn't you? For more brilliant Esad imagery, visit the dude's personal website right after the jump. Glad you liked it IFF!